Home Adventure & Nature Take a Hike! 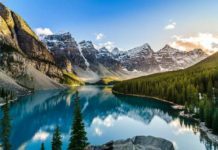 The Best Mountain Hikes in the U.S.
How would you like to sit with your feet dangling over the edge of the summit of a mountain you just climbed? The feeling is one of success and amazement, as you gaze out over the views below. There are some fantastic mountain hikes in the U.S., but they are not for the weak or lazy. To see those views from the top, it may take hours, or even days, along with some grueling terrain and climate changes. Are you ready? Here are some of the best mountain hikes in the U.S. for your consideration. Located in Texas, the massive mountain range decorates the Chihuahuan Desert, adding some drama to the otherwise sparse landscape. Guadalupe Peak rises over 8,000 feet and is the highest point in Texas. A trail leads hikers to the top, but be prepared. There is little shade provided, and summer temperatures can get hot, and the sun can be brutal. Take lots of water for the 8-mile roundtrip mountain hike. Hikers will ascend over 3,000 feet, and the beginning of the trail is quite steep. 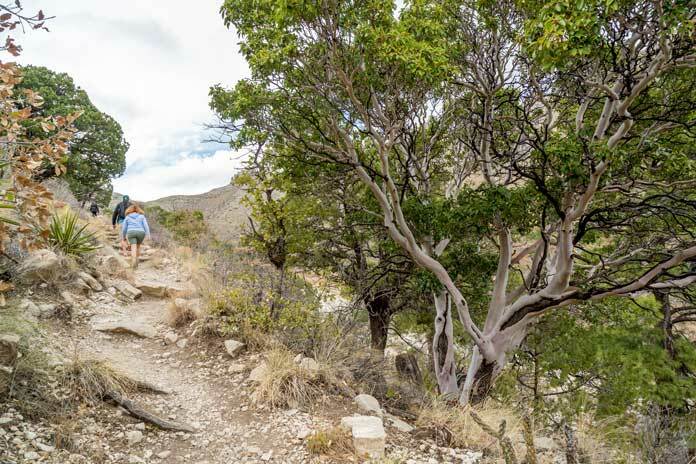 The walk takes 6 to 8 hours, but the view from the highest point in Texas is worth every step. Look for the mysterious aluminum pyramid at the top that was placed there in the late 1950s to commemorate overland stage travel. The Stony Man is another famous peak in Shenandoah National Park in Virginia. At 4,000 feet, visitors can try to hike up the mountain if they can. This particular peak has less unobstructed views and is a hiker’s favorite. It was named “Stony Man” because the top of the peak is a mass of huge boulders, cliffs, and rocks. A successful climb to the peak rewards hikers with the scenery of the beautiful Appalachian Mountains that stretch for miles. 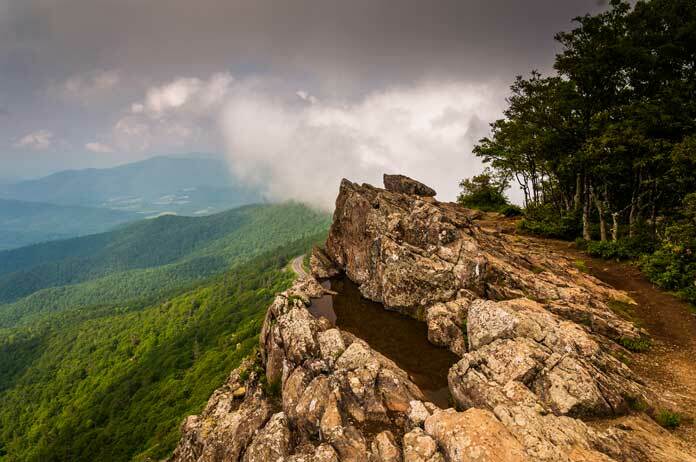 The trail is relatively short, and if you start from the parking, near mile marker 39 on the Skyline Drive, it is a mere 4 miles round trip and an elevation gain of only 1,000 feet. Try a fall hike when the rolling hills and mountains all have their trees changing colors to orange, yellow and red, or try in June, when the flowers are blooming. Utah’s famous National Park known as Zion has one of the best mountain hikes people will ever experience. 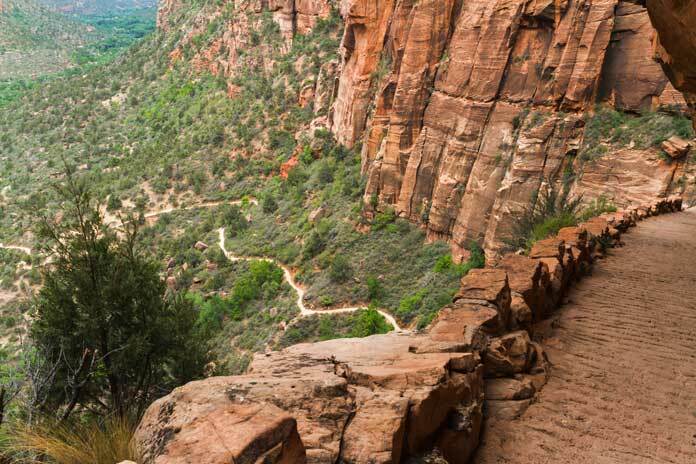 Angels Landing is a mountain hike known in the park and by visitors for its stunning scenery and difficult terrain. The last half mile of the hike has a very narrow trail and a sheer drop down a massive cliff on both sides. It is not for the faint of heart or for people who are afraid of heights. Several people have fallen to their deaths here, so use extreme caution. If you can make it to the top which is known as “Angels Landing,” you can see why it was named this way, as it looks like a piece of heaven. There are few words to describe the scenery and views from so high up and the canyon below paired with the massive red and orange rocks make it all worthwhile. It is a 5-mile round trip mountain hike, and the section is paved, but after that, the terrain is a bit rougher. It is full of switchbacks and rocks, so don’t hike in stormy conditions or high winds. There are chains to hold onto for the last section to the peak. Not only is the trail to the top of Mount Scott one of the best for alpine wildflowers, but it is also one of the best vantage points to see Crater Lake and the gorgeous Oregon scenery of Crater Lake National Park. 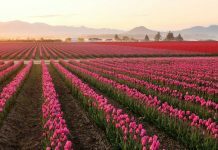 The best time to hike and see the flowers is late July, and the area is known for being cold, windy and with heavy snowfall so bring a jacket and appropriate gear for your mountain hikes. 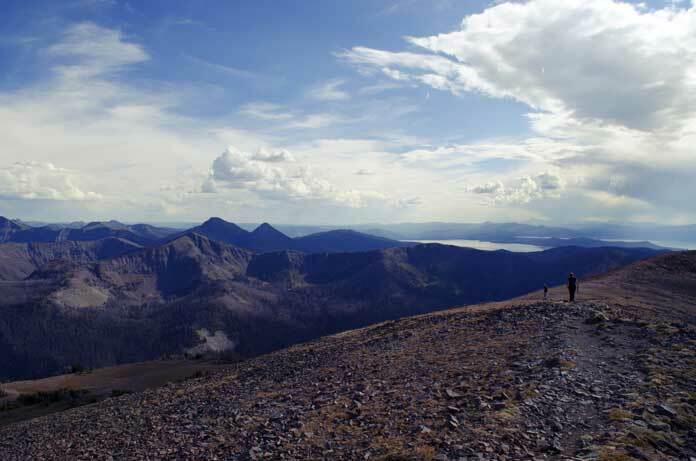 The 8,929-foot summit of Mount Scott has panoramic views of other mountain ranges along with the famous Crater Lake. There is a fire lookout on the north end of the peak that was built in the 1920s and is still used. The trail is moderately severe and climbs over 1,000 feet on your way to the top. 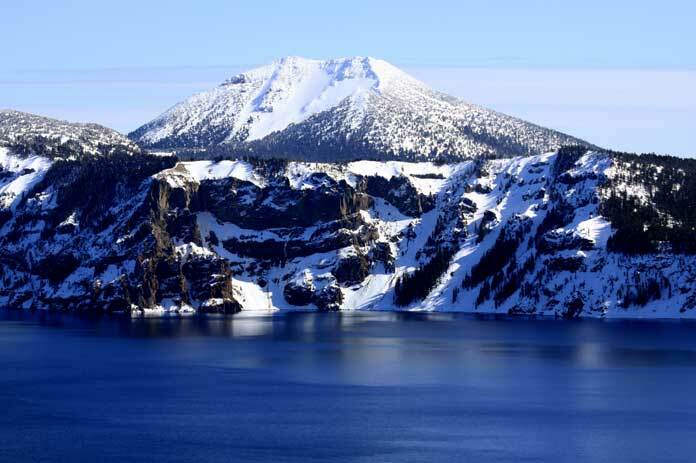 Expect a roundtrip mountain hike of approximately 5 miles and some of the best views of Oregon and a National Park. 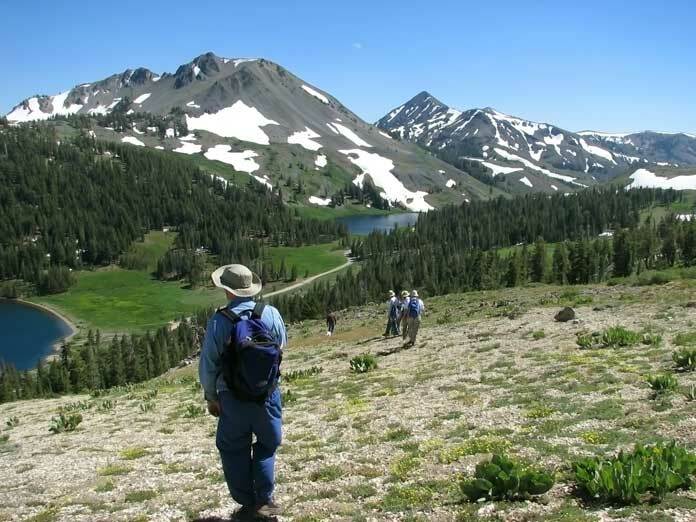 Climb the Sierra Nevada mountain range for drop-dead gorgeous views of some of the best of the U.S. Lookout Peak offers a way for hikers to climb to a scenic summit and not spend days out in the wilderness trying to do so. The Don Cecil Trail is a 7 mile (one way) hike that climbs 4,000 feet in that time. The views along the way are impressive as well. The mountain hike is strenuous and not for people that are not in good physical condition. The mountain rewards those who can make it with panoramic views from the top and the fantastic sight of a glacier-carved chasm to the east, not to mention the mountain ranges and forests of some of the most beautiful areas in the U.S.
Wheeler Peak is found in Nevada in the Great Basin National Park. 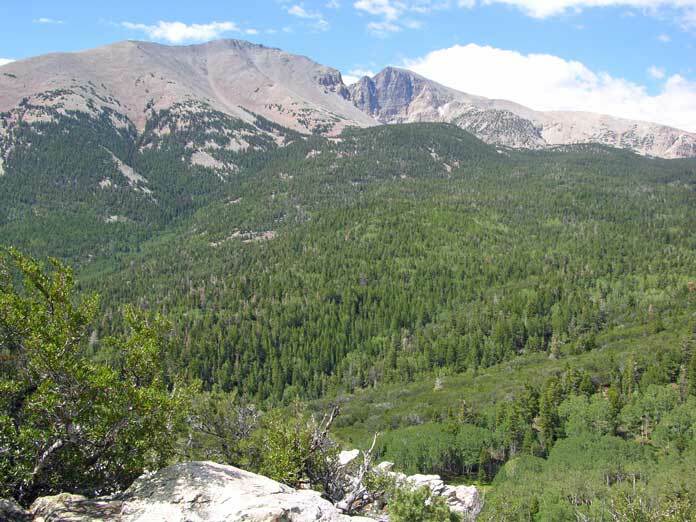 It rises a startling 13,000 feet above the basin, and you can hike to the top! The trail starts at approximately 10,000 feet and climbs another 3,000 on the trail of 4 miles (one way). To get to the trailhead, use the paved, scenic drive to reach the parking area where the trailhead begins. Enjoy winding your way through Aspen tree groves, the view of the basin below and the picturesque mountain ranges along with your hike. The final climb up to the summit is steep, so use caution. The best time to hike in the summer months, due to the snow that can last until May. The famous Yellowstone National Park in Wyoming is home to Avalanche Peak, one of the more popular mountain hikes in the park. The snow can last until July, so plan your mountain hikes accordingly. The warmer months encourage many hikers to flock to the area, so if you’re looking for solitude, plan an early start. The trail can be found by parking near Lake Eleanor. The trailhead can be located across the street on the north side. The trail climbs steeply, over 2,000 feet in just two and a half miles one way. The path will travel through the trees until you climb above the timberline. Hikers report seeing deer and elk, so if you’re lucky you might see them too! From the summit, you can see Top Notch Peak, Mount Stevenson, and Mount Doane. Snow may still be lingering and mixed with the green trees and stunning rock; it provides a dramatic scene. Yellowstone Lake and Sylvan Pass are beautiful sights from the top as well. 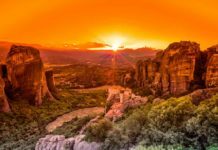 This mountain hike is favorite and for a good reason, as the views are incredible. Conquering a summit is both gratifying and exciting. There’s nothing like overcoming a problematic mountain hike and reaping the rewards at the top with views that are some of the best in the world. How many people can say they climbed and sat on top of a mountain? 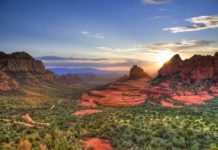 Try one of these best mountain hikes in the U.S. for an experience and views you will never forget! Previous articleCamp Under the Stars at One of the Best Campgrounds in the U.S.